In 1962 Holden launched a completely new, lower-profile streamlined body with more interior space, new foam-padded seating and better all-round visibility. 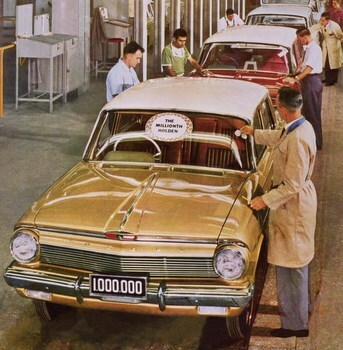 The “Premier” model was introduced and the name “Premier”, was to be identified with luxury Classic Holden Cars for 16 years. The EJ Premier, first with standard metallic paint and auto transmission, offered leather trim bucket seats, heater, carpet, floor console and whitewalls. The EJ had Duo Servo brakes, strengthened front suspension, safety belt anchorages.